The most important asset for any company is not something palpable. It is not equipment, infrastructure, data or even intellectual property. No. The most valuable asset of any business is the people (human capital). In a world where business leaders are often running a full-time sprint just to keep up with the day-to-day demands of business, this realisation pertaining to human capital, is often overlooked, and underused or under developed. During the recent North-West University’s (NWU’s) Human Capital Summit, academic experts and industry leaders came together to discuss ways in which human capital can be managed to facilitate sustainable growth and innovation, both socially and economically. The summit that was hosted in Vanderbijlpark by the School of Industrial Psychology and Human Resource Management, saw Dr James Ramakau and Prof Sonia Swanepoel take to the lectern as keynote speakers. 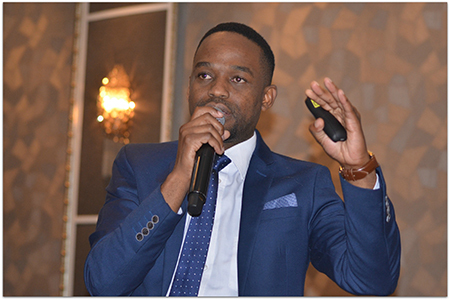 As an experienced senior human resources and talent manager, Dr Ramakau – the human resource manager at AngloGold Ashanti Limited – shared valuable professional lessons with the audience. His stance is that industrial psychologists and human resource practitioners should look at themselves first before attempting to address issues pertaining to human capital management. “I believe that proficiency is an inside job,” said Dr Ramakau and added that “intellectual arrogance” is to blame for many of the perceived shortcomings of the profession. The latter refers to practitioners merely offering solutions to organisational challenges opposed to making an effective human connection. In an effort to remedy this situation, Dr Ramakau proposes the following are of focus for practitioners: character building, leadership and communication skills, expanding worldview, being dutiful and continuous self-development. * Dr Ramakau is a proud alumnus of the North-West University. 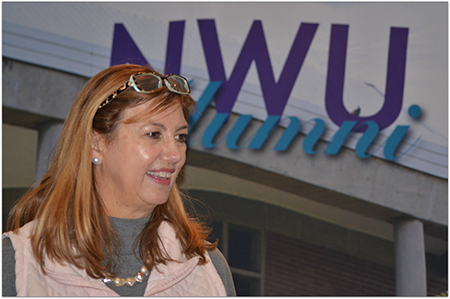 As the executive dean of the NWU’s Faculty of Economic and Management Sciences, Prof Swanepoel is directly responsible for human capital management. Add to this the fact that she is a qualified professional human resources management practitioner and it becomes clear why she is passionate about the discipline. In her presentation, Prof Swanepoel focused on the role of industrial psychologists as high-level managers in the academic realm. One of the main points of discussion was the ever-increasing importance of human capital within a changing socio-economic and political environment – more so within the context of the fourth industrial revolution. According to Prof Swanepoel the dawn of the fourth industrial revolution will see the fusing of the physical, digital and biological worlds and as such it will challenge ideas about what it means to be human. She went on to focus on the potential impact this new revolutionary cycle will have on the context in which practitioners will function, namely: rising inequality, fragmentation and segregation and, the change in individual and collective identities.